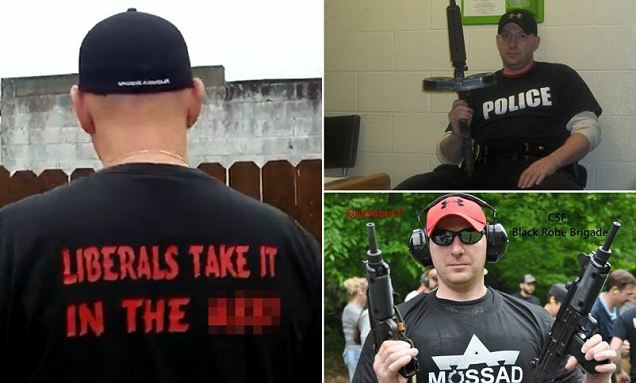 The man dubbed ‘America’s scariest police chief’ will not lose his job after posting ‘disturbing’ videos of himself firing assault rifles and threatening liberals because the town’s mayor thinks he is exercising his freedom of speech. 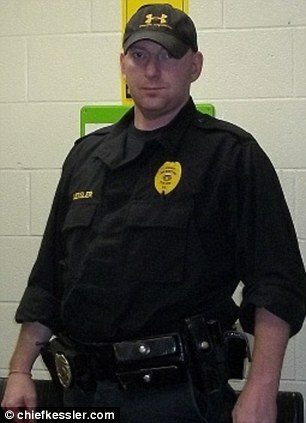 Mark Kessler is the only police officer in the tiny hamlet of Gilberton, Pennsylvania, but has caused serious concern following his appearances in a slew of foul mouthed and provocative videos in which he attacks Secretary of State John Kerry and makes rude slurs against liberals. 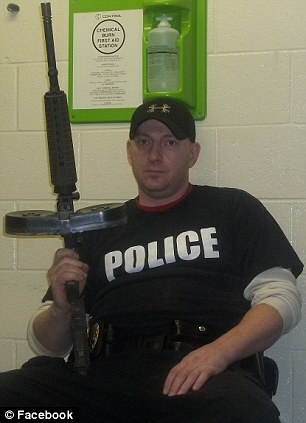 Kessler made headlines in 2011 after he shot himself in the hand after pulling his weapon to intervene in a bar fight. He was off-duty and was the only person armed in the altercation. 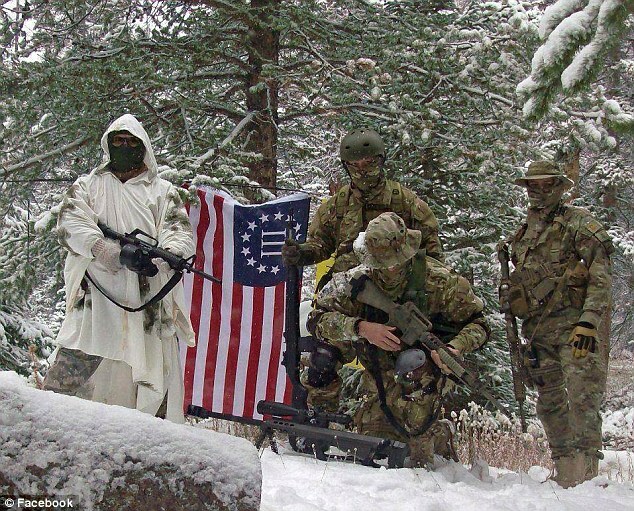 To date, over 40,000 people have viewed Kessler’s videos – which he uploads under the banner of his Constitutional Security Force – which he claims is designed to protect the rights of all Americans, but isn’t a militia – despite being armed. 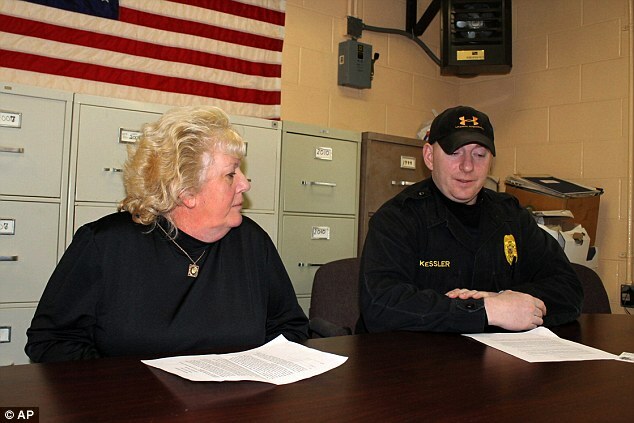 ‘What he does in his private life, we have no control of,’ Gilberton Mayor Mary Lou Hannon told Frank Andruscavage of the Pottsville Republican Herald when asked about the video. 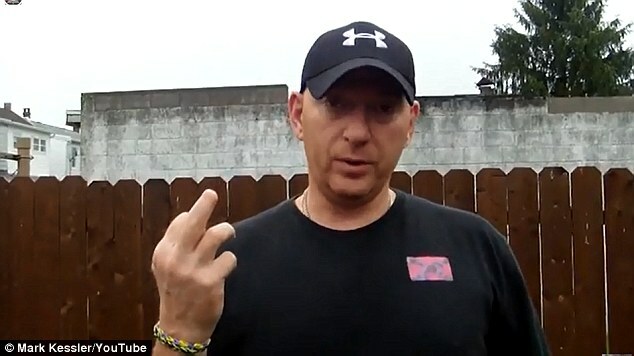 In one video Kessler uploaded to YouTube on July 15th, the 14-year veteran tells viewers offended by his profanity to ‘go f**k yourself’. ‘You take it in the a**a and I don’t give a f**k what you say so you can all just go f**K yourselves,’ says Kessler. In a second video uploaded to YouTube later that day, Kessler takes it on himself to pretend to apologize to the thousands of people who wrote him messages of complaint. The unnerving video begins with a mock-apology to all those ‘libtards’ who claimed their feelings were hurt by his language and then begins a rant about calling Secretary of State john Kerry a ‘traitor’. 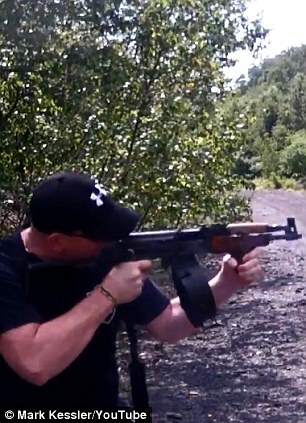 In the video he claims to be annoyed by a recent news article in which Kerry says the U.N. would sign an arms control treaty which many conservatives see as a stealth assault on the Second Amendment. ‘That piece of s**t traitor,’ yells Kessler into the camera. ‘I’ve got a message to Kerry and to these c**ksuckers over in the U.N. Sign anything you want to sign. It’s not going to mean s**t.
In an interview with the Pottsville Republican-Herald, Kessler affirmed his right to make the videos. ‘I think the video is in support of the Constitution—the support of the First Amendment, the right to express your thoughts and words freely without reprisal from any government,’ said Kessler. 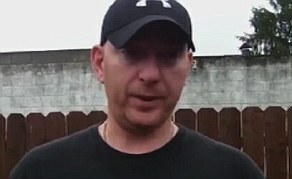 He also hosts his own regular radio show and has uploaded videos to YouTube in which he claims he is being followed by suspicious helicopters and unidentified members of the military. 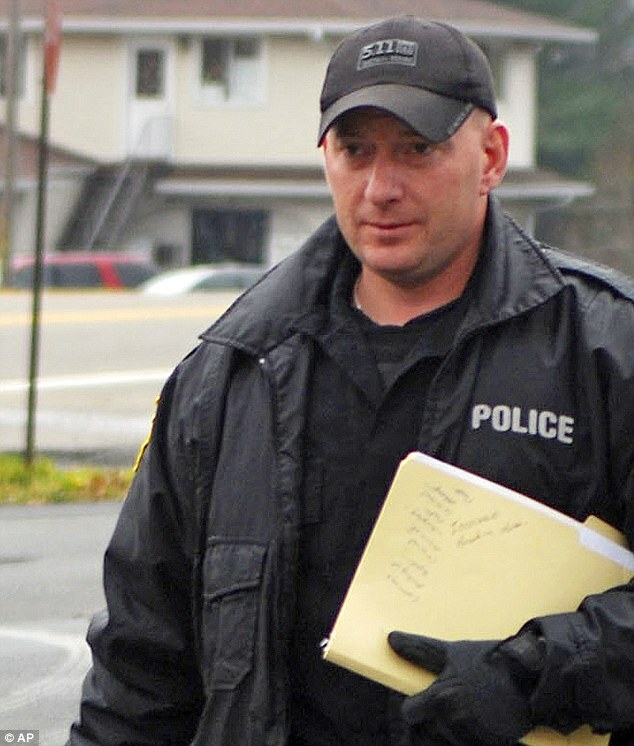 The chief, Mark Kessler, the one-man police force of tiny Gilberton, population about 800, and some other gun-rights advocates view the treaty — which Congress would have to ratify for the U.S. to take part — as a step toward restricting the domestic use of more conventional weapons that are personal property. 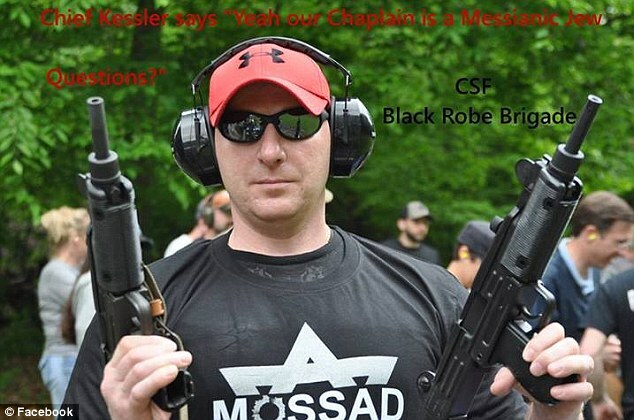 In a telephone interview, Kessler said he made the videos to draw attention to what he views as the erosion of the constitutional rights of free speech and to bear arms and to speak out for the many others who are afraid to do so. He also said he is increasingly concerned about what he views as a government out of control, citing the FBI’s use of drones, the National Security Agency’s collection of hundreds of millions of Americans’ phone records and the Internal Revenue Service’s scrutiny of applications for tax-exempt status by politically active groups. ‘I’m trying to wake people up to say, ‘Hey, there’s a lot more going on than meets the eye.’ A lot more,’ Kessler said in an interview from Texas where the 41-year-old father of four was vacationing. 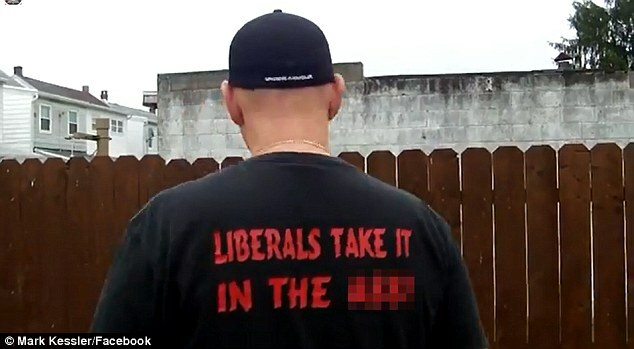 Kessler, who called himself ‘a wholeheartedly good man who loves his country,’ acknowledged that some people were upset by the videos, but he said he does not regret posting them and insisted that many more people were supportive of them. The weapons in the video are legal weapons and belong to the police department after he purchased them with his own money and donated them in a transaction approved by the borough council, Hannon said. The council, which has had a contract with Kessler for 14 years, is planning to address the matter with Kessler in a private session Wednesday, Hannon said. She said she supports his continued employment, noting that he has made a lot of residents feel safe and responds to emergencies at all hours. 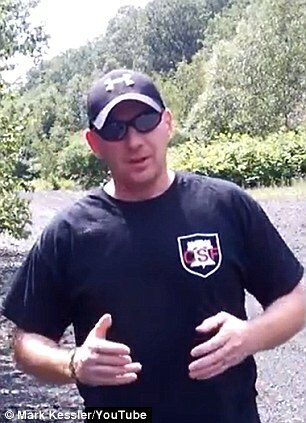 Kessler, a former coal miner, is active in gun-rights circles, appearing on an online radio broadcast on the conservative conspiracy theory website Infowars, hosting an online radio show on a website that bills itself as the ‘voice of the resistance,’ speaking at gun-rights rallies and hosting his own website where he is seeking recruits for what he calls the Constitutional Security Force. He also has claimed in recent weeks that his outspoken views on gun rights have earned him death threats. On Wednesday, he would not say how many people have signed up for the security force, but said there are chapters in 45 states and many recruits are current or former members of law enforcement and the military. In January, Kessler drafted a resolution the borough adopted that calls for ‘nullifying’ any federal, state or local regulations that infringe on the Second Amendment. He boasted about the resolution while speaking at a February gun-rights rally on the steps of the Pennsylvania Capitol. ‘If they come in and try to disarm any of my citizens, it’s not going to go over very well,’ he told the crowd.